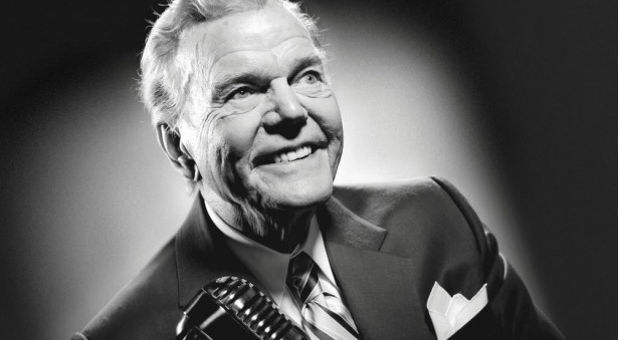 Sixty-eight years ago, today, radio legend Paul Harvey did something no one expected and got into a bit of trouble over it. In the wee hours of February 6, 1951, without any authorization, Harvey trespassed on the Argonne National Laboratory grounds, engaging in what reporters term as participatory journalism. Conducting classified research, the laboratory was heavily secured; all employees and visitors needed badges to pass a checkpoint, many of the buildings were classified, and the laboratory itself was fenced and guarded. Such alluring secrecy drew visitors both authorized […] and unauthorized. Shortly past 1 a.m. on February 6, 1951, Argonne guards discovered reporter Paul Harvey near the 10-foot (3.0 m) perimeter fence, his coat tangled in the barbed wire. Searching his car, guards found a previously prepared four-page broadcast detailing the saga of his unauthorized entrance into a classified ​“hot zone.” He was brought before a federal grand jury on charges of conspiracy to obtain information on national security and transmit it to the public, but was not indicted. Harvey’s “escapade” prompted the U.S. attorney for Illinois to empanel a grand jury to consider an espionage indictment; Harvey “went on the air to suggest he was being set up”; the grand jury subsequently declined to indict Harvey. Previously confidential files show that Harvey […] enjoyed a 20-year friendship with FBI Director J. Edgar Hoover, often submitting advance copies of his radio script for comment and approval. […] the real twist, suitable for one of Harvey’s signature “Rest of the Story” vignettes, is how they met…on opposite sides of an espionage investigation. The news is contained in nearly 1,400 pages of FBI files, released to The Washington Post in response to a one-year-old Freedom of Information Act request. The Cold War beginning of the Harvey-Hoover bond was an incident from 1951, when Harvey was 32. He routinely hammered officials for being lax on security, in particular those in charge of the Argonne National Laboratory, which conducted nuclear testing 20 miles west of Chicago. After wrapping up his television broadcast on the evening of Feb. 5, 1951, Harvey set out to prove his case and make some career-enhancing headlines for himself. Harvey guided his black Cadillac Fleetwood toward Argonne, arriving sometime past midnight. He parked in a secluded spot, tossed his overcoat onto the barbed wire topping a fence, then scampered over. […] seconds after Harvey hit the ground, security officers spotted him, documents show. Harvey ran until, caught in a Jeep’s headlights, he tripped and fell. As guards approached, Harvey sprang to his feet and waved. Two months after the incident, a federal grand jury officially declined to indict Harvey. Nothing in Harvey’s file suggests Hoover did anything to help. But Harvey appears to have been grateful for something. It’s a long, in-depth article and, apparently, Harvey intended to lie to the audience about ‘how it went down’. This entry was posted in History and tagged 1951, argonne national laboratory, cadillac, congressional committee, conspiracy, espionage, february 6, grand jury, guards, hot zone, j edgar hoover, journalism, national security, participatory journalism, paul harvey, reporter, the rest of the story, washington post. There’s always two sides. Good on you Victoria for writing about this. I think MaCarthyism has been widely forgotten. Only to be replaced by the current insanity.